But Vaas is no more (spoiler alert!) and Far Cry 4 is almost here. 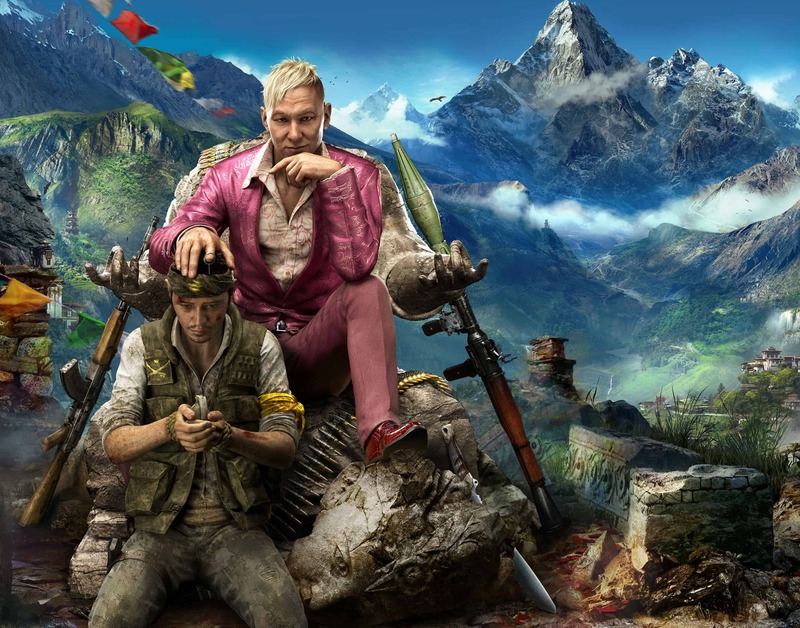 Unfortunately Michael Mando won’t be returning to reprise his role, but… Far Cry 4 does have a fantastic new villain by the name of Pagan Min. He’s voiced by Troy Baker (more on that later,) and since I’ve been curious about him, I decided to dig a little deeper. Here’s what Ubisoft has to say about him, followed by a fantastic new trailer. Pagan Min was born in Hong Kong, the son of a mid-level drug boss in the Golden Triangle. His father was a small fish in a big pond and even as a young man, Pagan was as ambitious as he was flamboyant. This peacocking drove a wedge between them. Pagan worked for his father, hated him, and was frustrated as a lieutenant, seeing his father as a dinosaur. Nobody knows how his father died, but it wasn’t natural causes. After his father’s unfortunate passing Pagan inherited his small piece of the pie. He then left his old identity behind and adopted the moniker “Pagan,” naming himself after an old Burmese king who murdered his family to take control. Of course, he changed the pronunciation to be western so that he’d be more unique. Pagan quickly started carving himself more of the pie he believed that he deserved. He built considerable assets, a small private army, and started angering his allies in the heroin trade. He didn’t fit in and he knew he couldn’t kill them all; it was only a matter of time before the old guard decided to have him killed. This is when his eyes fell upon Kyrat, a small failed state with multiple warring factions in the wake of the collapse of its monarchy. He allied himself with the Royalists, propping up a distant heir to the throne who he used to swell his ranks and to remove all opposing faction in the country. After a few bloody months, Pagan and the united Royalists took the palace by storm, but Pagan betrayed the Royalists by murdering the heir and seizing the throne for himself. He then started a purge of anyone who didn’t fall in line, executing his opposition. The betrayal led to the formation of the Golden Path, a small resistance movement dedicated to overthrowing Pagan. Vaas was quite the personality, and I think we’re going to see a performance every bit as special with Pagan Min. Have a watch and we’ll catch up again in a moment here. Remember how I mentioned Troy Baker? I had never heard of him before, but apparently he’s the voice of Pagan Min. I know this… because I just read an interesting interview with him. Definitely worth checking out, and as I said, I think we’re in for a very special performance. But what do you think? Who do you think will turn out to have been more sadistic, Vaas or Pagan?